CLEVELAND — Starling Marte, Gregory Polanco and Josh Bell each hit a two-run homer, and the Pittsburgh Pirates beat the Cleveland Indians 9-4 on Tuesday night for their 11th straight win. Pittsburgh’s second-inning runs came with two outs. Dickerson’s drive with runners on first and second sent center fielder Tyler Naquin to the wall. 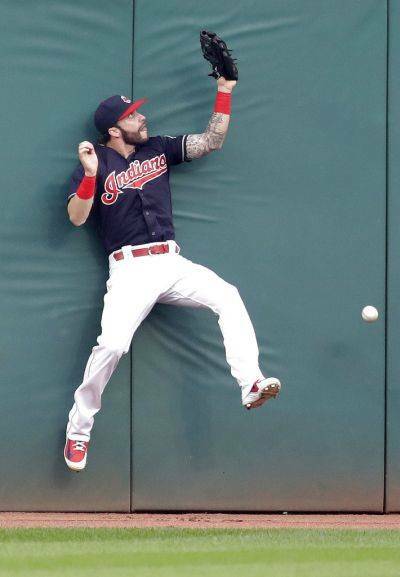 Naquin attempted to make a leaping catch, but the ball glanced off the side of his glove and rolled along the track. Cleveland snapped a scoreless streak of 15 innings in the first on Jose Ramirez’s RBI groundout. James Taillon (7-7, 3.80 ERA) faces Indians’ All-Star Trevor Bauer (8-6, 2.44) in the series finale Wednesday. Taillon has never faced Cleveland while Bauer beat the Pirates in his only appearance against them in 2015.